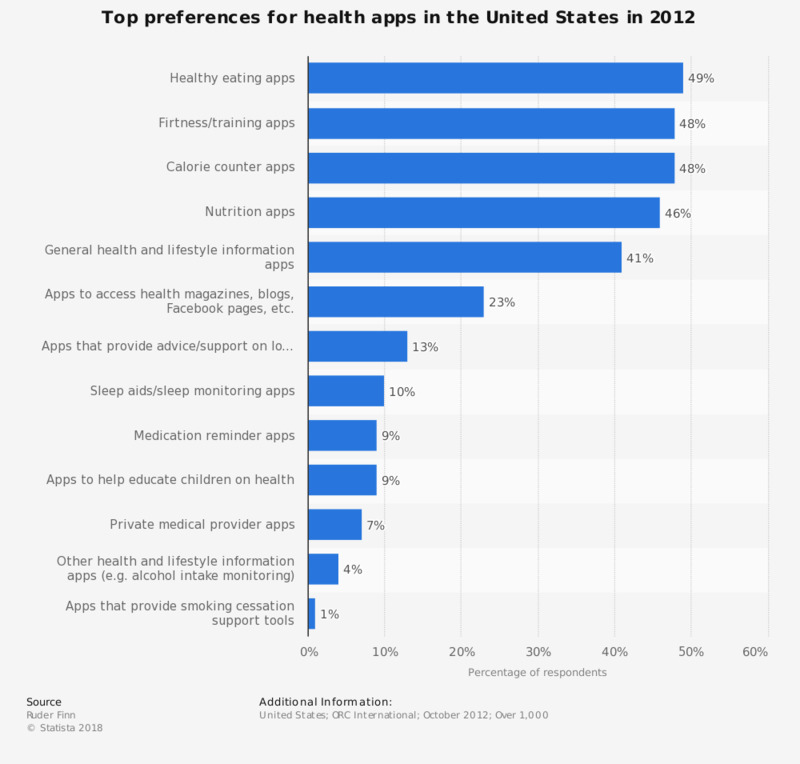 This statistic displays the top preferences in the United States for mobile healthcare applications by type as of 2012. During this time, 23 percent of respondents stated to use mhealth apps mainly to provide access to health magazines, blogs, Facebook pages, and others. Men were more likely than women to state that they had no need to use mobile health applications. There has been a slow adoption of mobile health apps in the United States market.